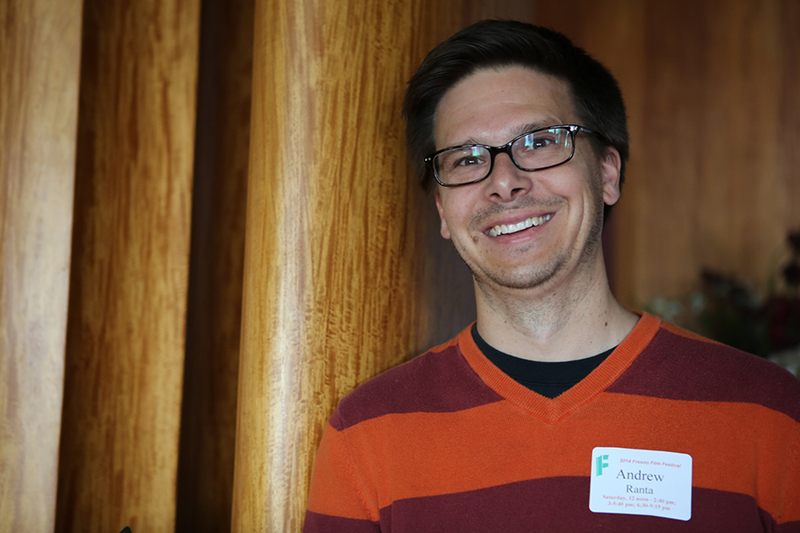 When he’s not volunteering for Filmworks, Andrew Ranta enjoys watching horror movies, especially if they’re horror movies about horror movies. Occupation: Andrew runs a construction and hotel liquidation company called Equity Building Materials. Filmworks thanks all of our April 2014 volunteers: Avigdar Adams, Jackie Aldern, Claudia Arguelles-Miller, Gabriel Baltierra, Sarah Barker, Cleo Bauer, Dominic Bedrossian, Rita Bell, Leslie Bjerke, Nene Casares, Celeste DeMonte, Rebekah Eropkin, Katrina Garcia, Fae Giffen, Rebecca Horwitz, Neal Howard, Carl Johnsen, Kathyrn Johnsen, Ryan Jones (discussant), Monica Marks-Rea, Peter McDonald, Don Olson, Dominic Papagni, Sara Poss, Andre Provencio, Andrew Ranta, Gene Richards, Susan Rogers, Bill Rovin, Eva Shanoian, John Shanoian, Brijesh Sharma, Joan Sharma, Sky Sweet, Phil Unruh, Analise Villalobos (intern), Suzanne Watkins, Kao-Ly Yang (discussant).